great designer with the cooperation and communication with the feedback Contest Holder will make great results and perfect design ..
"Really great experience. Delivered several unique and catchy designs, will consider again in the future for other projects. " "Great work. I appreciate everything"
"Really nice! Thank you very much for cooperation!" "Great work! Design was everything I was hoping for. " "Very creative, clean and modern design. Pleasure to work with." "everything was perfect, only a little miss communication"
"Excellent work! very easy to work with & good communication level back & forth. Took the time to redo and redo as requested. Good job & thank you! " "Fantastic designs, great originality, very responsive." "*Gamabunta did a GOOD JOB for us"
"Gambunta created an awesome logo design that exceeded our expectations. She understood the brief and delivered an orginal piece unlike no others. We are very happy to have to launched this competition with 99designs and feel very grateful that Gambunta ..."
"We were very happy with Gamabunta's work. Able to take feedback well and provide a great experience!" "Thanks for your work and all the best in the future." "Gamabunta is one of the most talented visual designers I have had the privilege to work with over the years. She is incredibly creative, talented and conscientious. 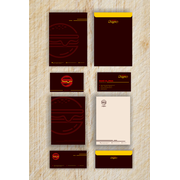 I strongly recommend her as an exceptionally talented designer.”"
"Gamabunta did an excellent job of creating what my business partner and I had in our heads but could not put down on paper. We were very pleased with Gamabunta's ability to evolve the initial design according to the several iterations we requested. " "Very positive experience working with Gamabunta."